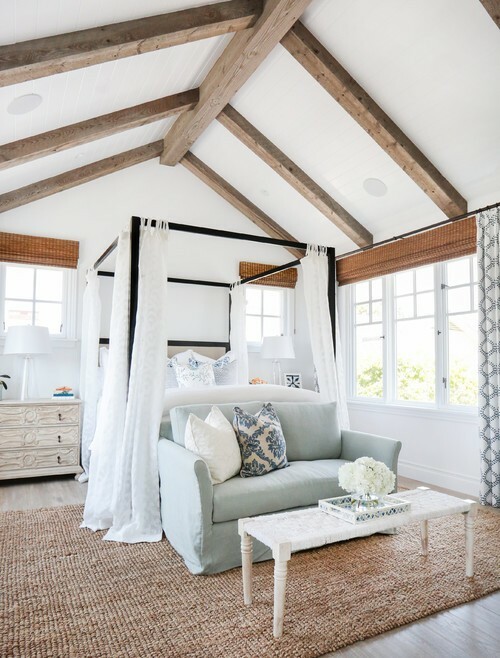 I was excited to recently discover my favourite US Designers, Blackband Design were nominated for HGTV Fresh Faces of Design 2015 in the Master Bedroom category for this Bayshore project. 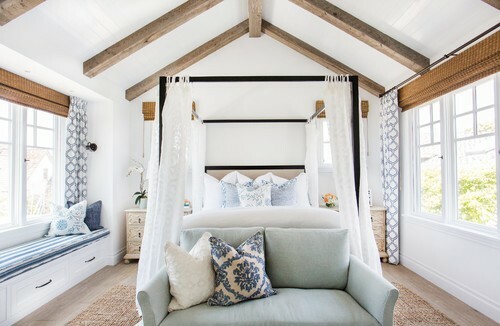 There is not a doubt in my mind that Wendy and Greg Blackband's beach style interiors have panache that sets them apart. 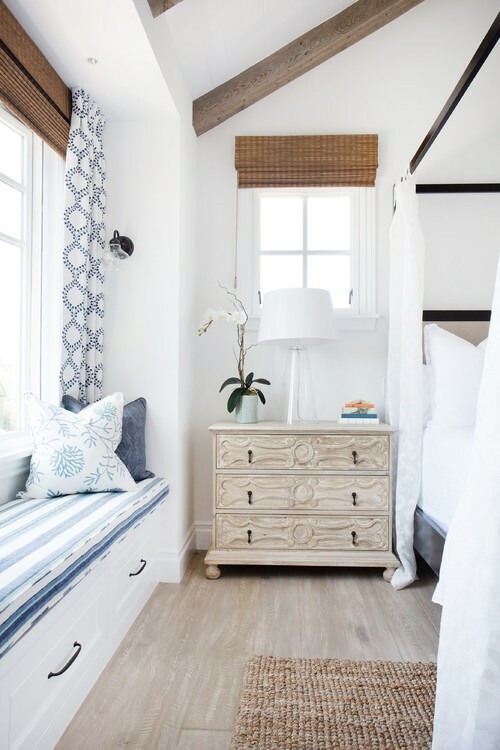 Wendy has an eclectic take on coastal elegance and her eye for colour, pattern and texture make a room sing. 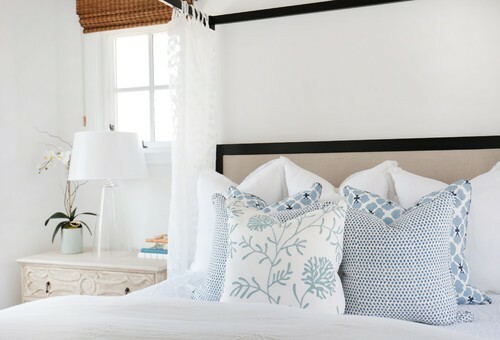 Keeping the colour palette light in tones of blue and white for this coastal master retreat, Wendy and Greg focused on texture and pattern to create a coastal feel. The carved, white-washed bedside tables make a simple statement complimenting the oak flooring and adding texture with sculptural detail. Rattan and woven jute blinds are widely used in the US by designers especially in coastal homes. 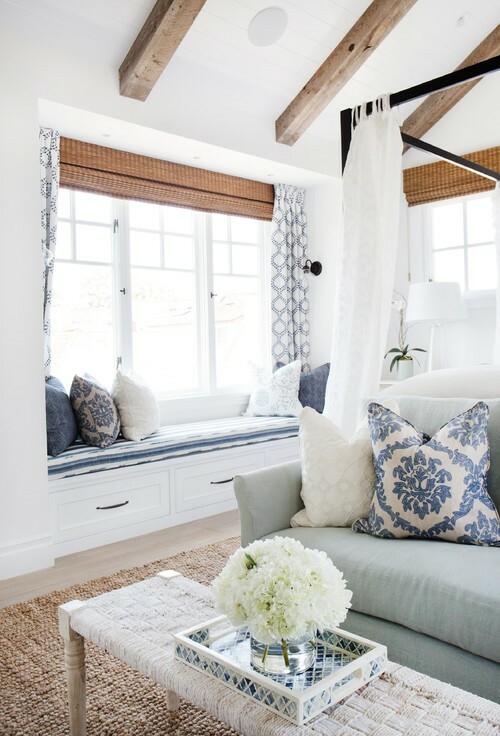 Here, Wendy has softened their look with a simple blue and white patterned drape on the larger windows. Blackband always use plenty of cushions to soften and pull a room together and their cushions have become quite their signature style. 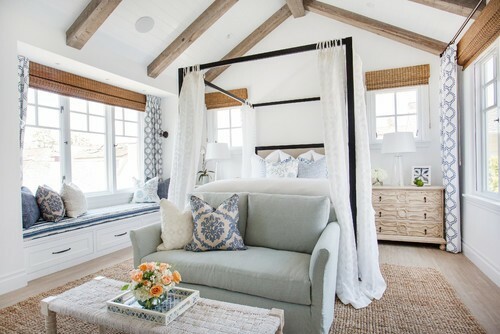 I am absolutely in love with this room and definitely want to add a four poster to my decor crushes. If you want to read what HGTV have to say about this extremely talented design duo, I have placed a link at the end of this post. Looking through this project, I am sure you will agree that Blackband deserve not only to be nominated but to win with their unique talent and style determining who they are as designers.